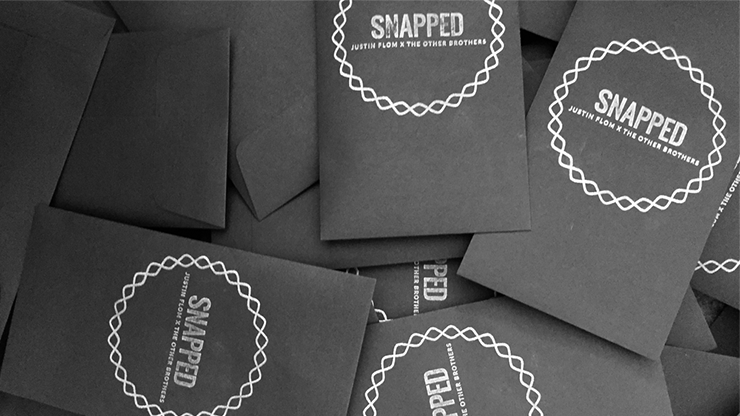 From the minds of Justin Flom and The Other Brothers, SNAPPED is a brand new utility device that allows for spectacular visual vanishes. With no slights necessary, you will be able to vanish objects within seconds of learning this insanely original and new secret! Justin Flom performed SNAPPED on a commercial for Airheadsâ„¢ and everyone thought it was a camera trick.